On November 9, the 35 meter long fishing vessel Alaska Mist became disable in the Bering Sea off Amak Island. 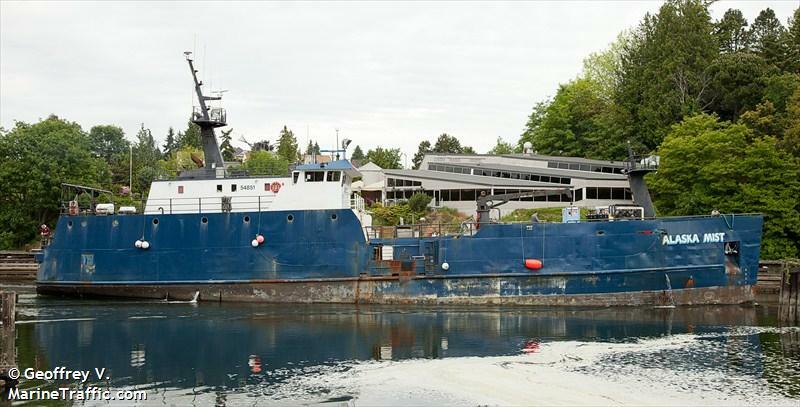 The Alaska Mist with 22 crew had suffered a mechanical failure and had gone adrift. The crew requested assistance with a Coast Guard vessel and helicopter, the tug Resolve Pioneer and another fishing vessel responding. 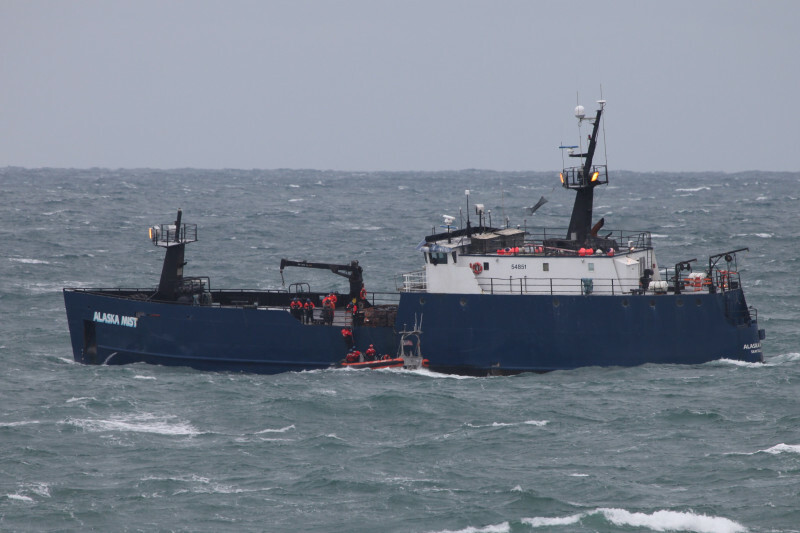 The fishing vessel Pavlof arrived on the scene and took the Alaska Mist under tow. The pair of fishing vessel headed towards Dutch Harbor until the tug Resolve Pioneer arrived. The tug attempted to connect a line, but it suffered equipment failure and had to standoff to make repairs. The Alaska Mist drifted closer to shore when the crew were able to successfully drop anchor. The Coast Guard Cutter Waesche arrived and began to transfer non-essential crewmen. In 35 mph winds and waves reaching 10 feet, the non-essential crew from the Alaska Mist were transferred and a towline was attached. The Waesche towed the Alaska Mist to Unalaska Island where the tug Pioneer Resolve was able to take over the tow. 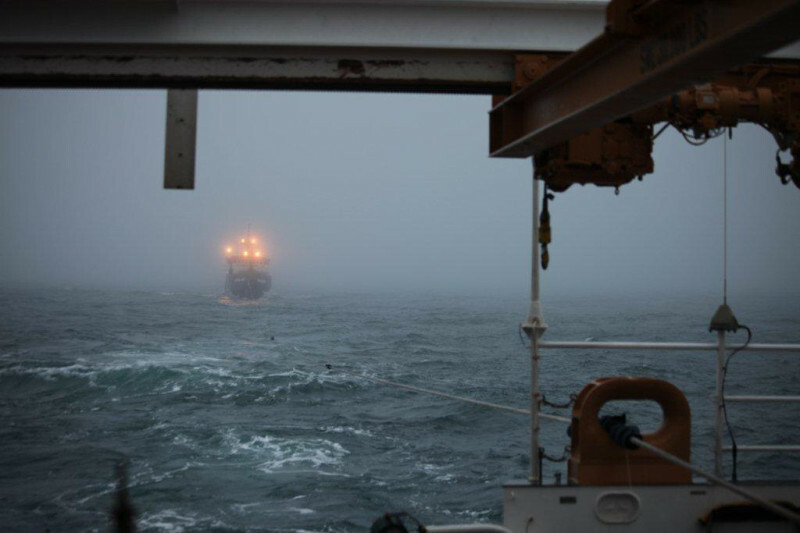 The tug and fishing vessel arrived safely into Dutch Harbor. One crewman on the Waesche was injured during the transfer of crews. The Coast Guard has launched an investigation into the incident.